Sunscreens are an extremely essential part of your daily skin care and anti-aging. They protect us from the harmful UV rays which are known to cause skin tanning, skin cancers, freckles and lead to fine lines, wrinkle formation and premature skin aging. Today markets are flooded with sunscreens. Which one is the best for your skin? This is one question many of us wonder and we keep experimenting with different ones every time we shop. Let us give you some useful insights. 1. An interesting aspect of sunscreen that one must understand is that a sunscreen has 2 mechanisms of protecting your skin. 2. The other important aspect is the SPF (Sun Protection Factor) which is a measure of protection against UV-B radiations (the ones that could cause skin cancers) while it’s the UV-A radiation that causes the tanning. If one takes 15 minutes to get sunburn without sun protection, then by using an SPF 30 he/she would be protected for 30×15 = 450 minutes before they get a sun burn (provided the sunscreen is evenly applied @ 2 mg/cm2). Titanium dioxide, avobenzone, zinc oxide are the ingredients for a good UV-A Block. SPF 30 gives a good protection by blocking 97% of UV-B rays and is usually ideal for regular use. 3. People who have oily/acne prone skin must go for gel based sunscreens which have “non- comedogenic” written on them. People with dry skin can go for cream based sunscreens. They could also apply a moisturizer 15 minutes before applying the sunscreen. There are sunscreens available in the market with foundation mixed in them which gives a tinted/matte finish. These are helpful for those who want to apply makeup on a daily basis. 4. 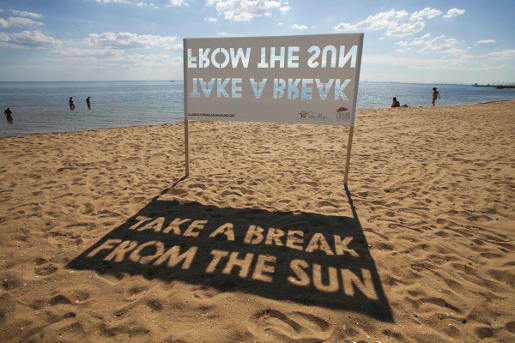 It’s a myth that people will become Vitamin D deficient if they apply sunscreen daily. This is NOT true. Daily intake of Vitamin D rich food items such as dairy products, fish, and cereals along with a 5 minute sun exposure are enough to give you your daily dose of Vitamin D.
Apply just enough to cover the area and 15-20 minutes before stepping out. Avoid stepping out into the sun between 11 am to 4 pm as the UV exposure is maximum at that time. Physical protection with a sunscreen comes only when you re-apply it every 2 to 3 hours. Re-apply sunscreen in case of excessive sweating, after washing/wet- wiping your face, after a swim or sauna. Apply especially after any parlor activity (facial/bleach/cleanup). Apply even if it’s cloudy (most of the UV rays penetrate through the clouds), even if you choose to stay indoors (sun rays do come in through the glass windows) and even in winters as UV exposure although reduces but does not completely cut off. Follow strict sun protection if you are taking drugs like tretinoin or tetracycline that make skin sensitive to sun rays. Broad spectrum sunscreen should be used in these cases. 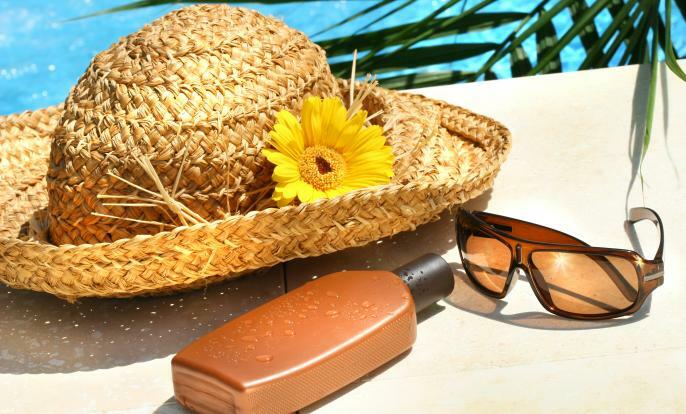 And at last along with the use of sunscreen, the importance of physical barriers such as scarfs, umbrellas, and sunglasses should not be underestimated.